The events of September 11th, 2001 affected the entire world. 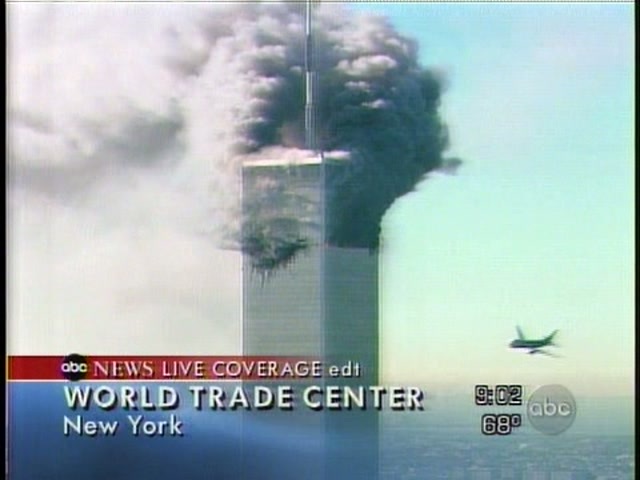 The 9/11 Television News Archive is a library of news coverage of the events of 9/11/2001 and their aftermath as presented by U.S. and international broadcasters. A resource for scholars, journalists, and the public, it presents one week of news broadcasts for study, research and analysis. Television is our pre-eminent medium of information, entertainment and persuasion, but until now it has not been a medium of record. This Archive attempts to address this gap by making TV news coverage of this critical week in September 2001 available to those studying these events and their treatment in the media. Explore 3,000 hours of international TV News from 20 channels over 7 days, and select analysis by scholars. Held on August 24, 2011 at New York University's Department of Cinema Studies, this conference highlighted work by scholars using television news materials to help us understand how TV news presented the events of 9/11/2001 and the international response. After brief welcoming remarks by Howard Besser, Director of New York University's Moving Image Archiving & Preservation Program and Richard Allen, Department of Cinema Studies, Tisch School of the Arts, New York University, 10 speakers presented the following short talks and ensuing discussion, which you can watch on the Internet Archive. Brewster Kahle, Digital Librarian at Internet Archive, introduces the 9/11 TV News Archive and reviews the case for online scholarly and research access to television news. In-depth analysis of television news coverage of the September 11 attacks and their aftermath reveals how these events were fashionedinto 9/11, the politically and morally charged signifier that has profoundly shaped public perception, policy and practice in the last decade. Understanding how and why the coverage took shape as it did yields new insights into the social, cultural and political consequences of the attacks, while also highlighting the role of news media in the creation, affirmation and dissemination of meanings in modern life. The experience of watching the news on TV as events unfold is often complicated by the space of exhibition -- typically, the domestic space. When hour upon hour of news is catalogued and archived -- placed in a space of focused study -- the news and the experience become altogether different. What was meant to be ephemeral acquires permanence, and what is usually a short-term viewing experience becomes a rigorous, frame-by-frame examination. In this presentation I will discuss how the archive challenges researchers to adopt new ways of seeing and explaining TV news. The Vanderbilt Television Archive was started in 1968. Marshall Breeding gives a brief overview of the Vanderbilt Television News Archive and how it carries out its mission to preserve and provide access to US national television news. Online TV news archives are a crucial digital resource to facilitate the awareness of and critical study of Media Ecology. Two significant research and teaching outcomes for this area of study are A) to better understand the role of television news regarding the mediation of society and its popular memory, and B) to underscore the significance of television news to the goal of an informed citizenry. The 9/11 TV News Archive will enhance and ensure the continued study of the indelible tragic events and aftermath of 9/11, and make possible new interventions within journalism history and media history, via online capacities for access and collaboration. This talk explores the possibilities and potential of using accessible video news archives in two areas: immigration research in the field of communication and documentary journalism. Prof. Brown speaks of the significance of video news archives in her current film, The Salinas Project, and discusses her continuing research on Latino/as and immigration in the news. Focusing on television news coverage of the 9/11 attacks, this brief talk outlines strategies for automatic quantitative analysis of television news imagery. What experiential narratives-sensory, aesthetic and political-are invisible to those exposed to traumatic events? Considering September 11, 2001, the media coverage of the event is predominantly visual. People drift in and out of news footage, covered in dust and ash as they exclaim that witnessing the attacks was like watching a movie. In contrast, the wailing of sirens, the staccato thud of feet running from the stricken towers, and the chaotic overlap of voices break through-sometimes even swallow-the visual narratives spun for 9/11. For contemporary American traumatic events, this inquires into how porous the sensory modalities are in experiencing and remembering shock. How, after all, do sensory representations of traumatic events leave in/visible marks on documentation? Ms. Choi addresses these questions by exploring sound as an alternate modality, evoking a different level of traumatic indexicality. Scott Blake has created a flipbook consisting of images of United Airlines Flight 175 crashing into the south tower of the World Trade Center. Accompanying the images are essays written by a wide range of participants, each expressing their personal experience of the September 11th attacks. In addition, the authors of the essays were asked to reflect on, and respond to, the flipbook itself. Not surprisingly, the majority of the essayists experienced the events through news network footage. Blake is distributing his 9/11 Flipbooks to encourage a constructive dialog regarding the media's participation in sensationalizing the tragedy. To further illustrate his point, Blake conducted a media study using the 9/11 TV News Archive to count the number of times major news networks showed the plane crashes, building collapses and people falling from the towers on September 11, 2001. Mr. Swanson was President of WNBC-TV at the time of the September 11 attacks. He recalls his personal experiences and testifies to the historical significance of an online television news archive, especially for younger people whose memories of the attacks may be hazy or nonexistent. Watch a video summary of key events. Wednesday, August 24, 4:00-6:00 pm. Co-sponsored by Internet Archive and New York University's Moving Image Archiving and Preservation Program, Tisch School of the Arts. Launched October 11, 2001 at the First Amendment Center in Washington D.C.
classic full-length films, to daily alternative news broadcasts, to cartoons and more.